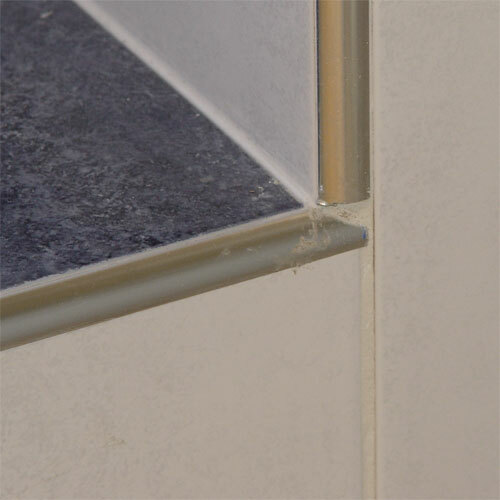 Problem: The tiles are lifting at edges where incorrect glue has been used. 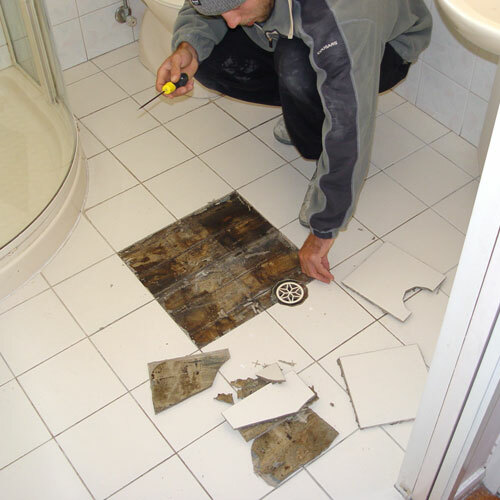 Solution: Complete removal of tiles will be necessary. 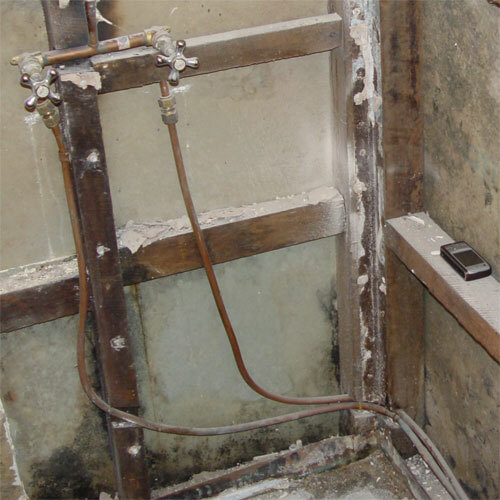 Problem: This bathroom had never been used. 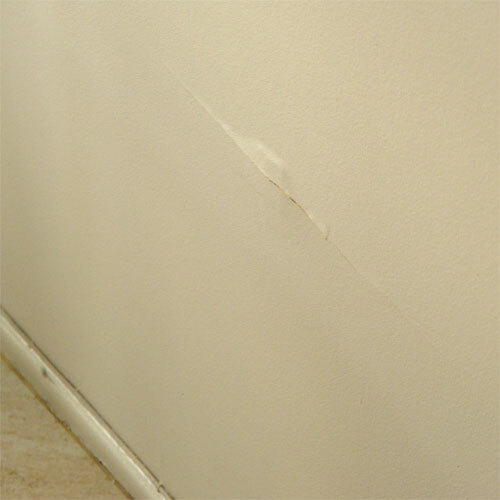 It's brand new. 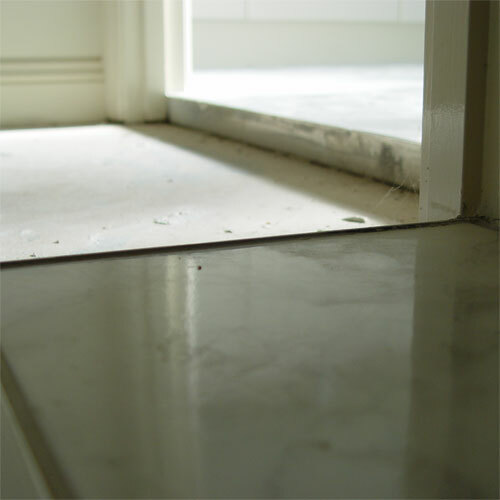 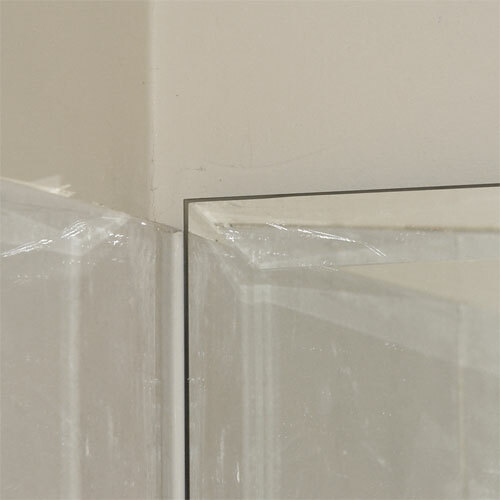 Many of the tiles and grout joints are uneven, the mirror is not flush and floor wastes are above the level of tiles as is the skirting in the doorway. 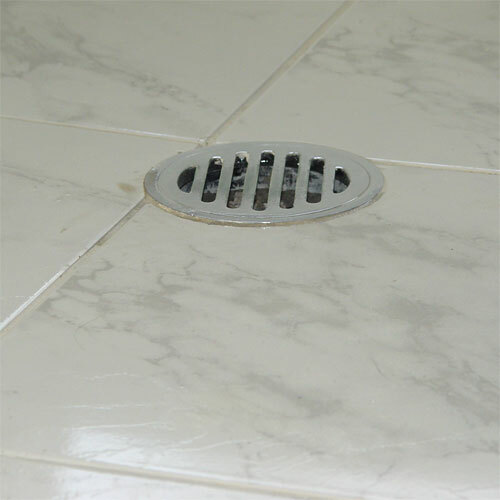 Corners are not finished correctly and in the shower, the tiles did not slope towards the drain hole. 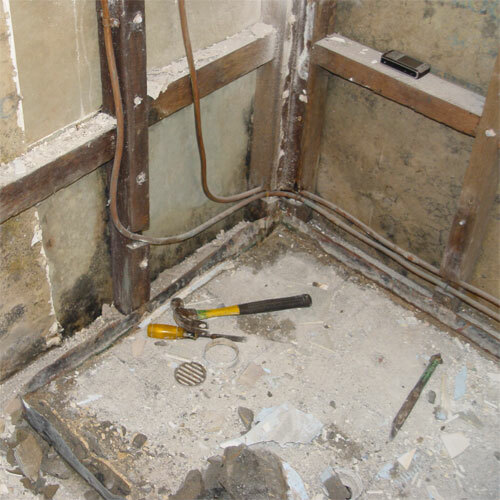 Solution: The entire bathroom needed to be removed and redone properly. 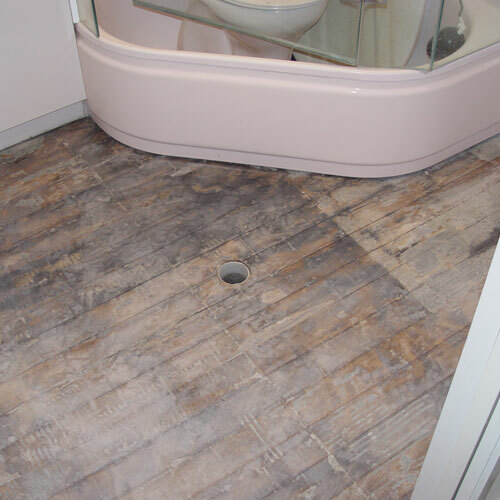 Problem: This bathroom floor had no waterproofing and the wrong glue was used, causing the tiles to simply lift off. 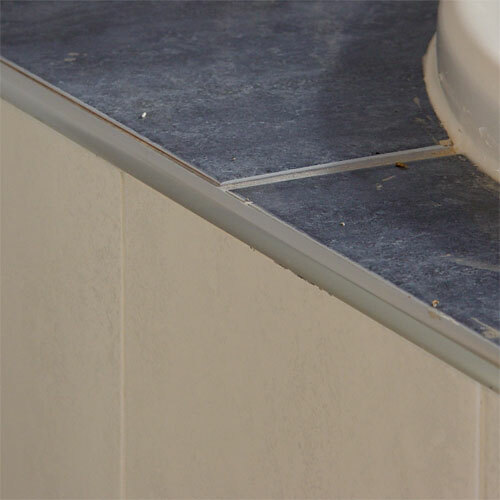 Solution: The existing tiles were completely removed and a new surface was laid so that the bathroom could be properly waterproofed and tiled. 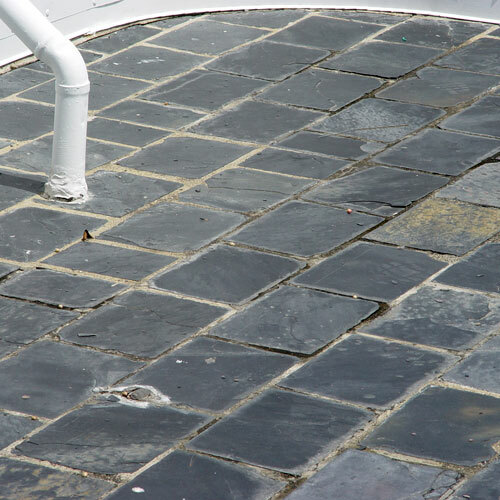 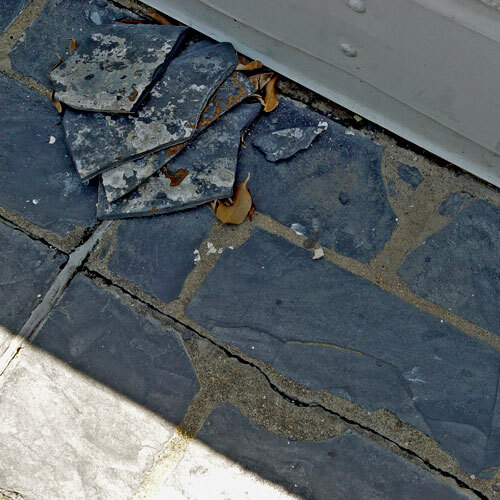 Problem: This balcony had inadequate drainage causing the slate tiles to lift and crack. 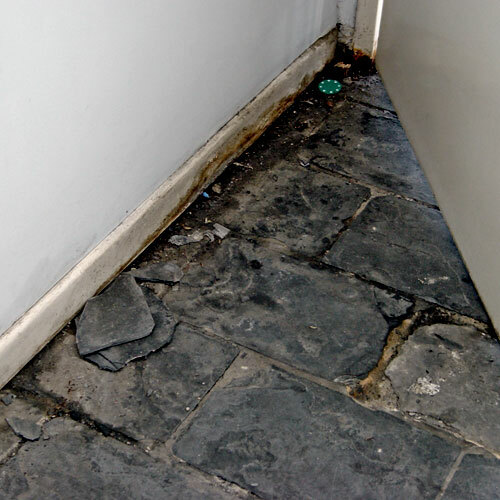 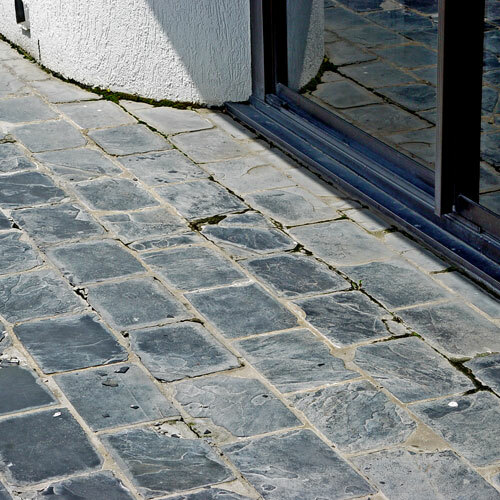 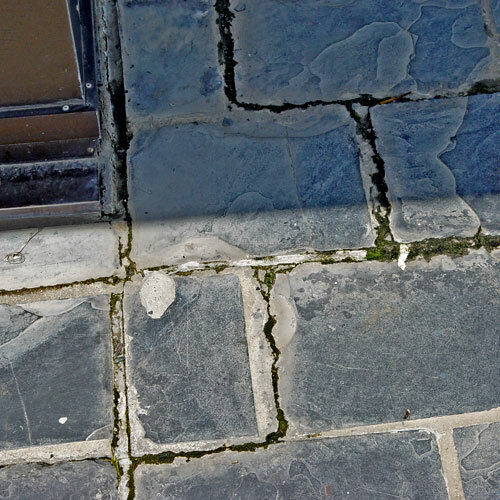 Solution: The existing tiles will need to be completely removed so that the underlying substrate can be assessed before a solution can be recommended. 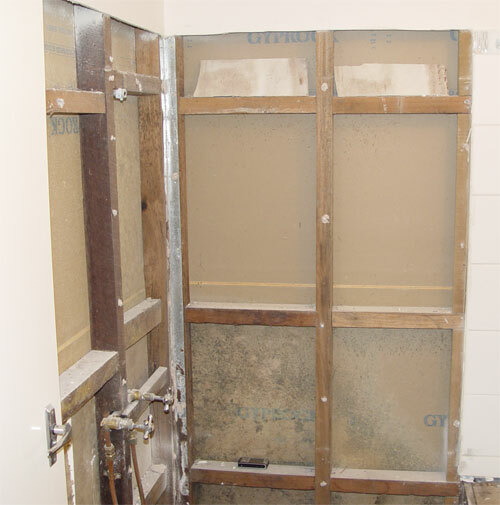 Problem: This three year-old shower was not waterproofed before the tiles were laid. 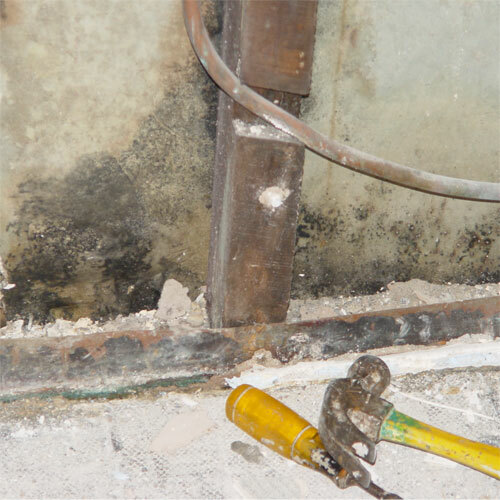 The resulting moisture that seeped into the frame led to wood rot, mould and structural damage to the property. 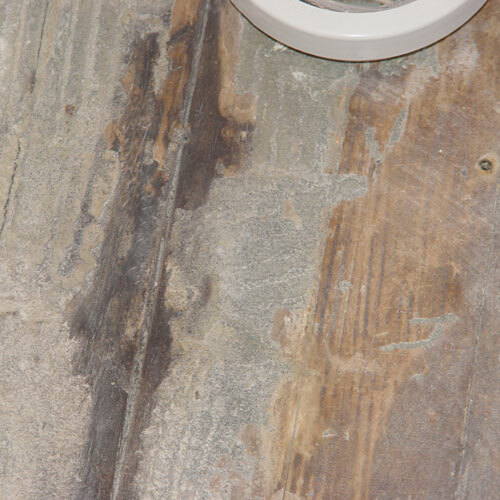 The constant presence of moisture also attracted termites which infested the property. 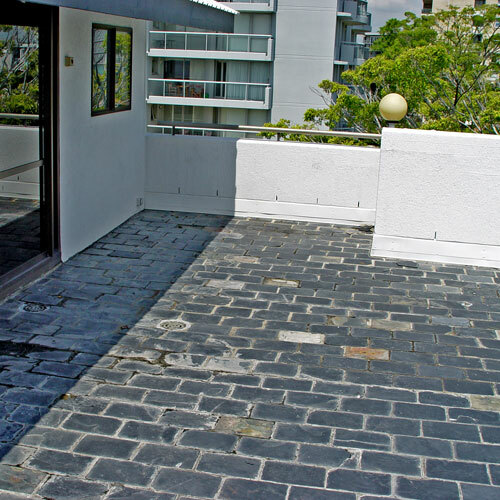 Solution: Allow area to dry completely. 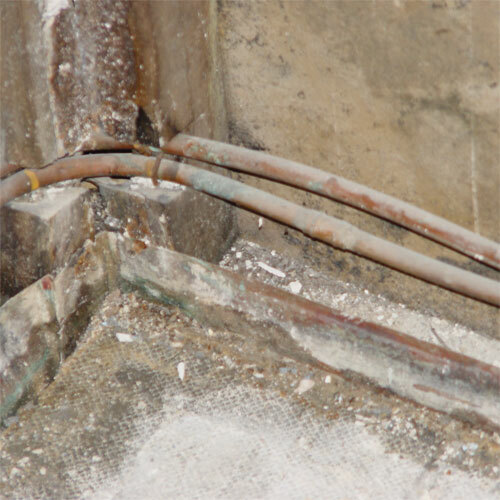 Repair structural damage, replace rotted or termite infested frame. 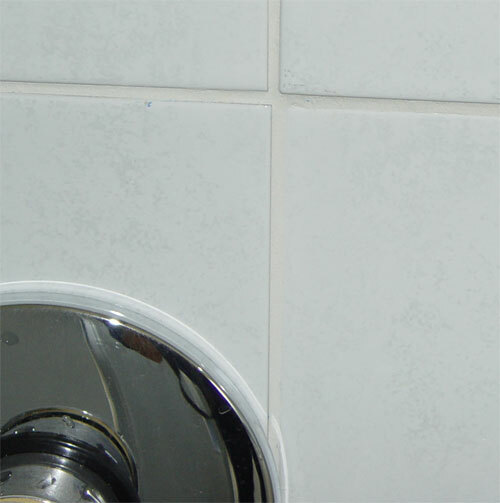 Waterproof shower area properly and re-do tiling completely with new tiles.